Iconic ‘80s Australian rock bands ICEHOUSE and the Choirboys will perform at the 2016 Castrol EDGE Townsville 400, July 8 – 10. In a return of the ‘Rock and Race’ concept that saw bumper crowds at the race in 2015, ICEHOUSE will perform on the Saturday evening under the ‘SuperTop’. ARIA Hall of Fame members ICEHOUSE will headline the show with their catalogue of hits, including ‘Great Southern Land’, ‘Hey Little Girl’, ‘Electric Blue’ and ‘Crazy’. ICEHOUSE have sold over three million albums locally and over nine million internationally. ICEHOUSE will be supported by classic Aussie rock outfit the Choirboys, who will bring their signature anthem ‘Run to Paradise’ to rock the crowd at Reid Park. 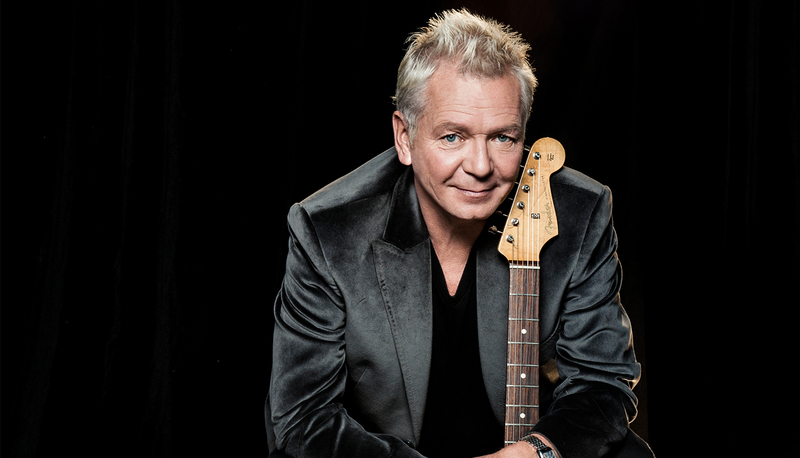 ICEHOUSE’s Iva Davies said the band was looking forward to getting back to Townsville and the people of North Queensland. “The band and I are excited to bring our show to the people of North Queensland at the Castrol EDGE Townsville 400. We love North Queensland and ICEHOUSE always received an incredible welcome there so we are very excited to be coming back for the first time in over 20 years,” he said. V8 Supercars CEO James Warburton said bringing the iconic rock acts to Townsville would make North Queensland’s premier motorsport event the best value entertainment ticket around. the people of North Queensland love a good show,” he said. “ICEHOUSE and the Choirboys are two of the most loved rock bands in Australia, and their energy and amazing sound will rock the SuperTop down on the Saturday night. The Castrol EDGE Townsville 400 is set in North Queensland’s tropics and is equal parts racing and off-track entertainment – a full schedule of activities complements the racing including a big name concert and lots of fun, interactive zones for kids. Tickets for the event are on sale now at www.ticketek.com.au. More event information is available at www.v8supercars.com.au.